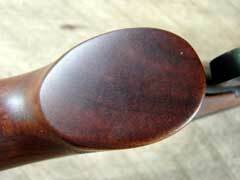 Walnut stock is of good quality, with dense figure and well-executed bordered cut checkering. 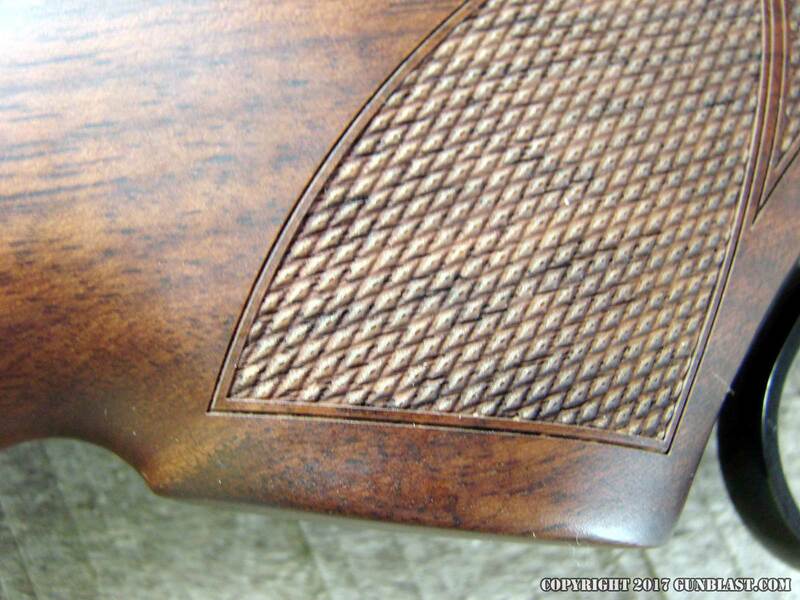 Wood-to-metal fit is excellent, as we have come to expect from Henry. 24-inch version comes with a screw-in full-choke tube, and will accept all Invector-style screw-in tubes. 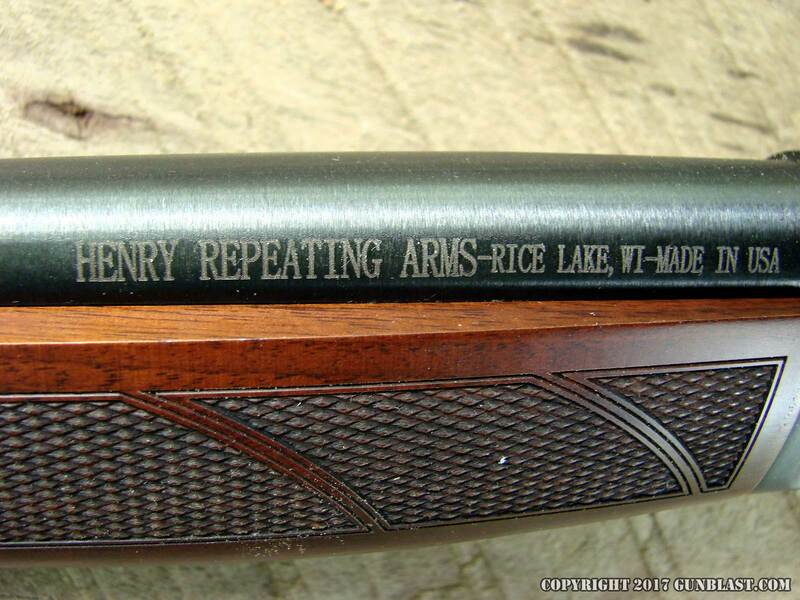 Henry Repeating Arms has been in the rifle business for several years now, first filling the need for a reliable 22 rimfire levergun, and moving up to the big bores later, satisfying a growing market for leverguns for competition and hunting. 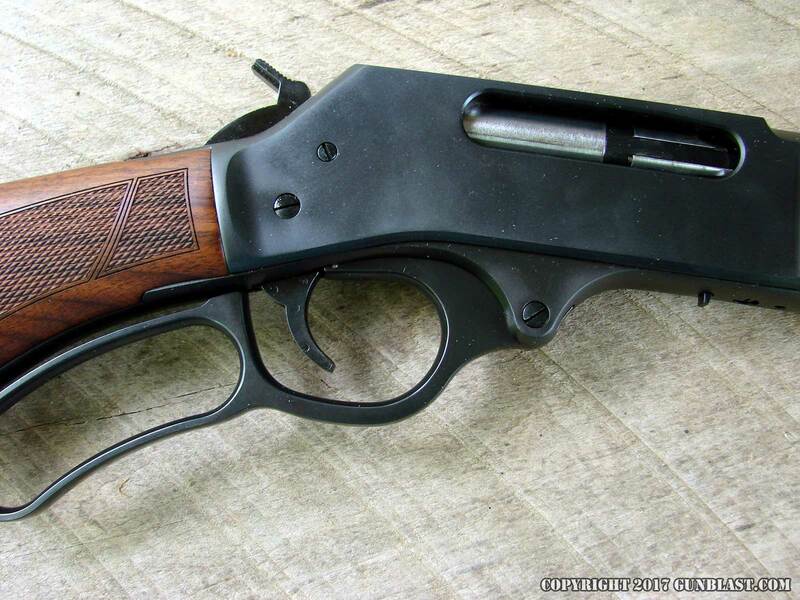 When other American rimfire levergun makers were abandoning the market, Henry was expanding their line of affordable, reliable, and accurate lever-action rimfire rifles. 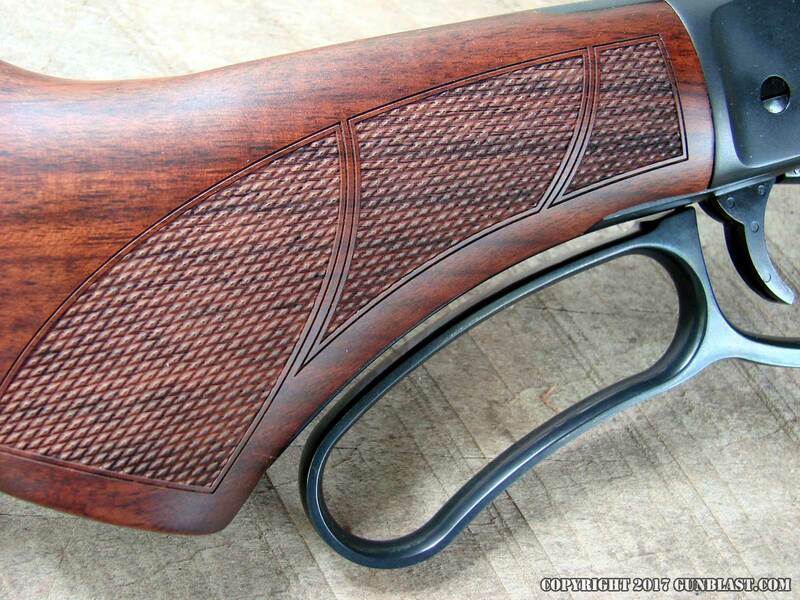 From the basic black finish to the beautiful Golden Boy to a wide array of commemorative rifles, Henry has a rimfire levergun to suit most any need. 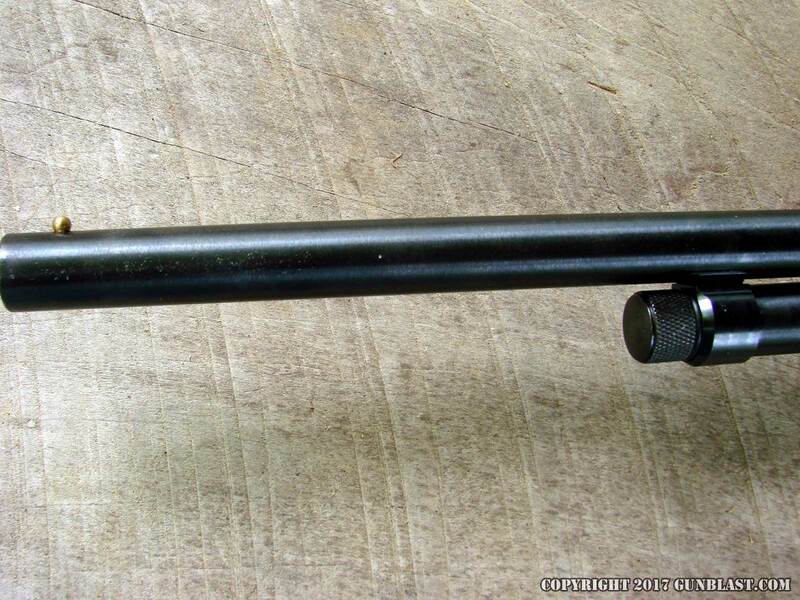 In addition to their popular rimfire rifles, Henry also has centerfire leverguns chambered for cartridges such as the 357 and 44 Magnums, 45 Colt, 30-30 Winchester, 45-70 Government, and 308 Winchester, which have also proven to be smooth, reliable, and accurate. 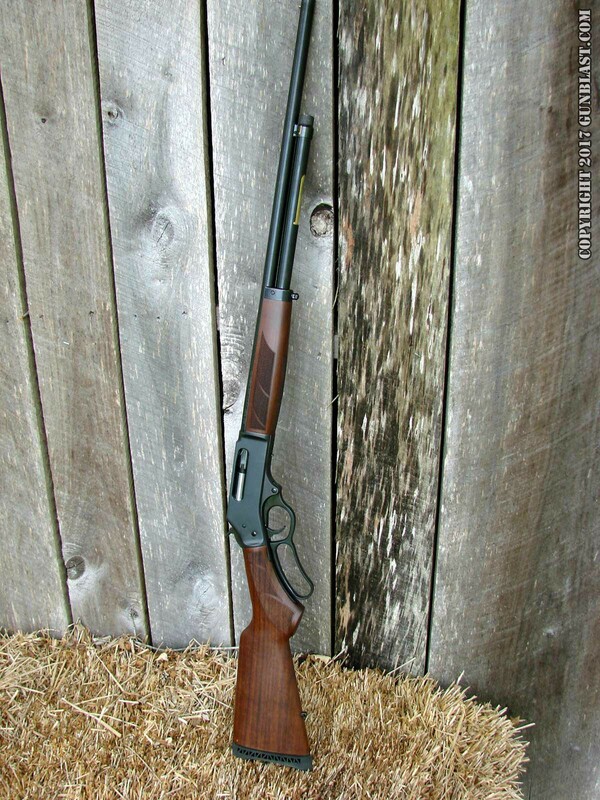 Now, Henry Repeating Arms has introduced two versions of a 410 bore lever-action shotgun; a twenty-inch cylinder bore, and the gun featured here, a twenty-four inch with a threaded muzzle, which comes supplied with a full-choke-constriction choke tube, and will accept other Invector-style screw-in choke tubes. 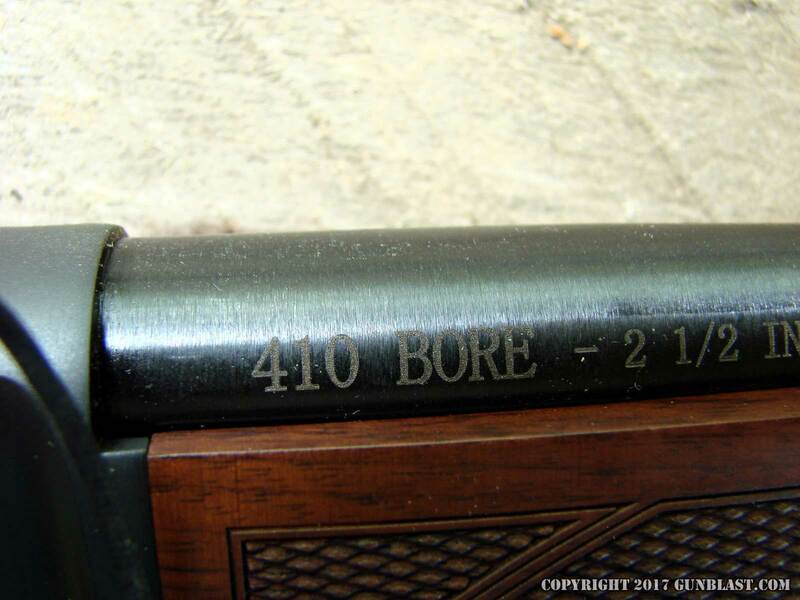 410 bore lever-action shotguns were once popular in the rural United States, as they were handy weapons with which to dispatch vermin and pests around the farm or homestead, and also served well as reliable hunting arms for game such as rabbits and squirrels. 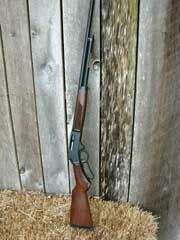 Lever-action shotguns were working guns, and could be used around barns and livestock to shoot that which needed shooting, without blasting holes into the barn roof. Also, while not my first choice, a 410 shotgun can be loaded with buckshot and put into use as a defensive weapon around the home. 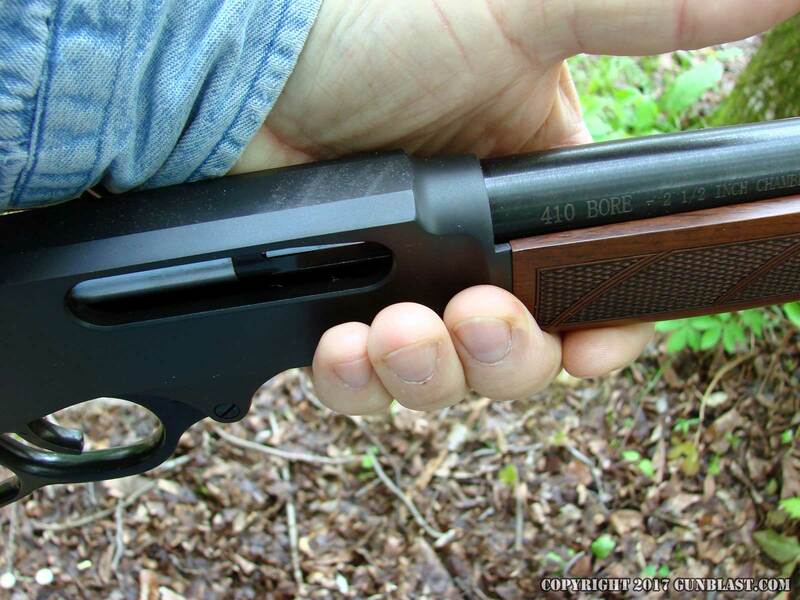 While many people dismiss the 410 bore as useful for such, the popularity of 410 bore handguns proves that many people think otherwise. 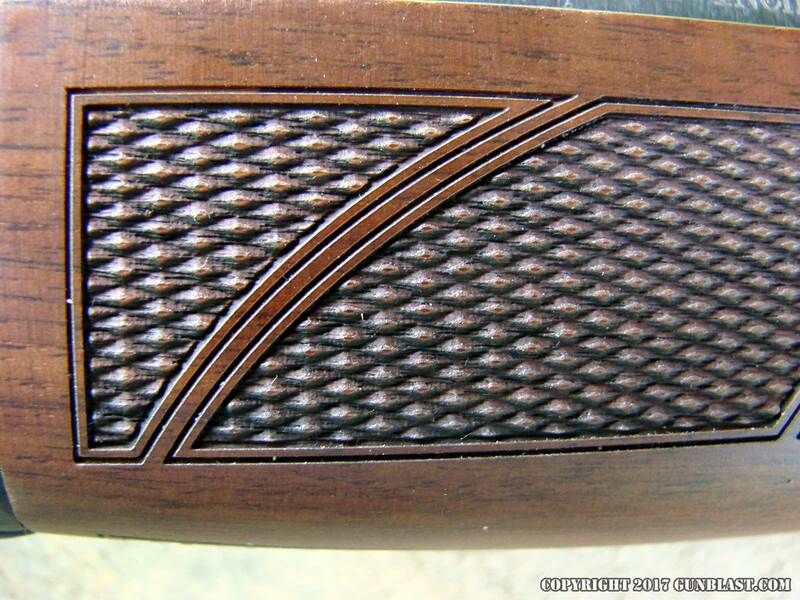 The Henry 410 Shotgun is based upon their excellent steel-framed 45-70 lever-action rifle, but chambered for 2.5 inch 410 bore shotshells. 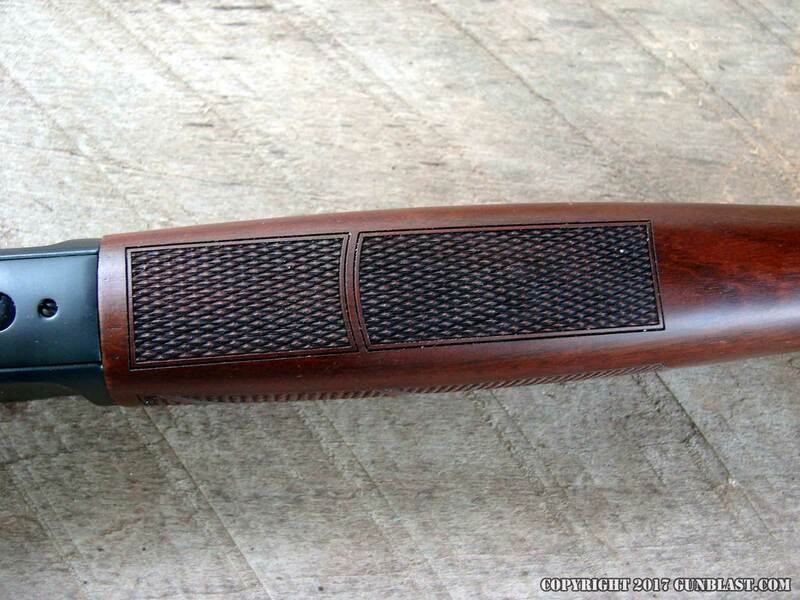 The Henry shotgun wears a blued steel action and barrel, with a pistol-grip checkered walnut stock, which is fitted with a ventilated synthetic rubber recoil pad and sling swivel studs. 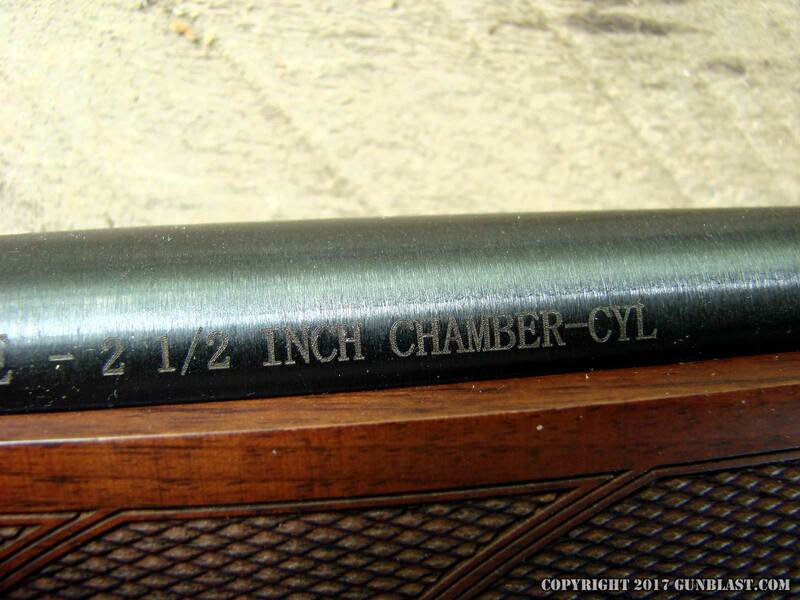 The twenty-four-inch shotgun is listed as weighing 7.5 pounds, but can vary a bit with the density of the wood, and the sample gun shown here weighed in at seven pounds, eleven ounces on my scale. The length-of-pull measures fourteen inches, and the trigger released crisply with just a bit over four pounds of resistance. The overall length measured 42.75 inches. 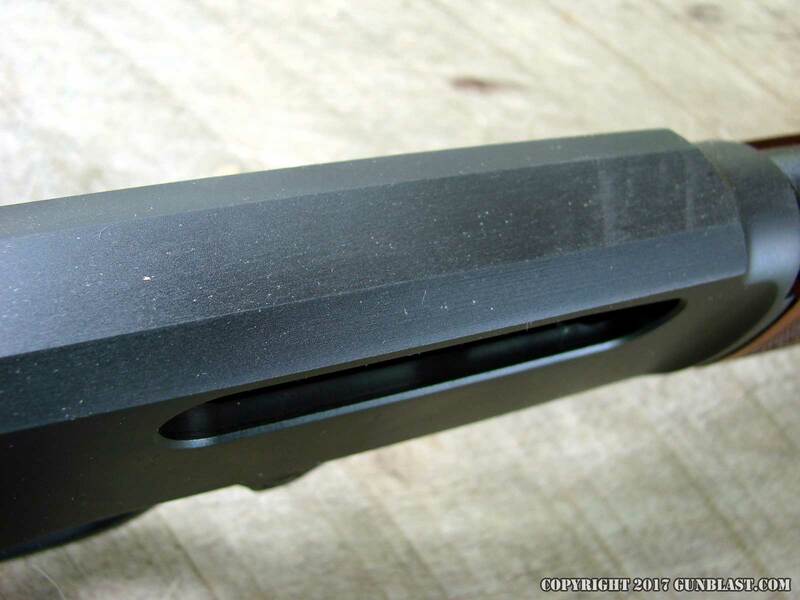 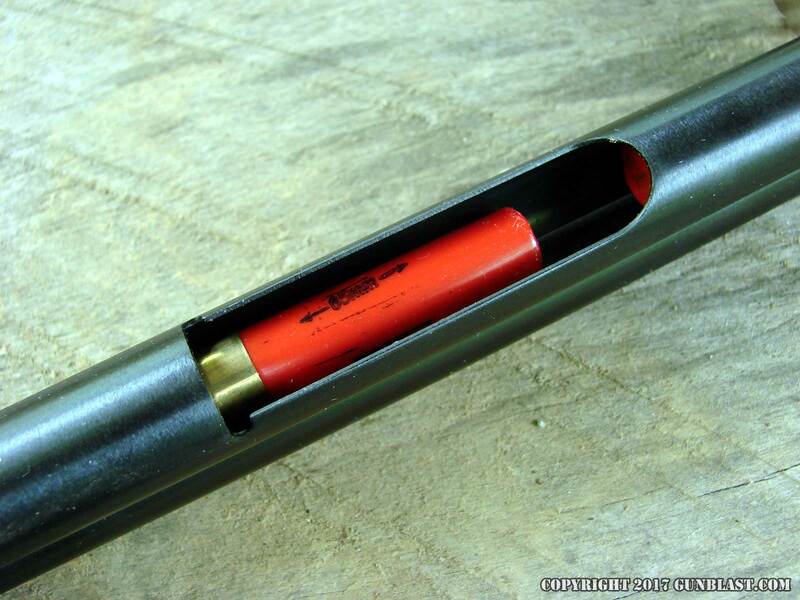 The capacity of the tube magazine is listed as five rounds, but mine holds six rounds of 2.5 inch Winchester or Federal shells in the mag, plus one in the chamber for, a loaded capacity of seven. 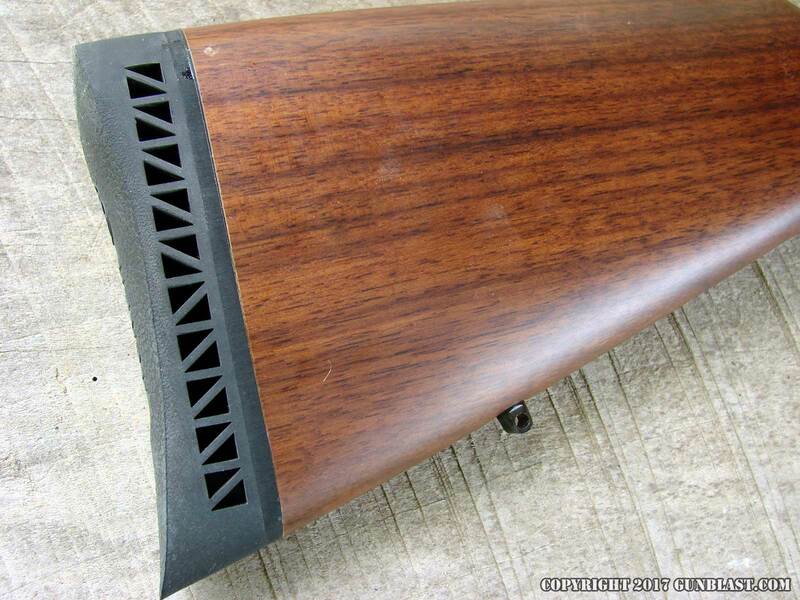 As far as I can determine, there is no magazine plug available yet that would make the Henry legal for doves and other migratory birds, but Henry has one in the works at the time of this review. 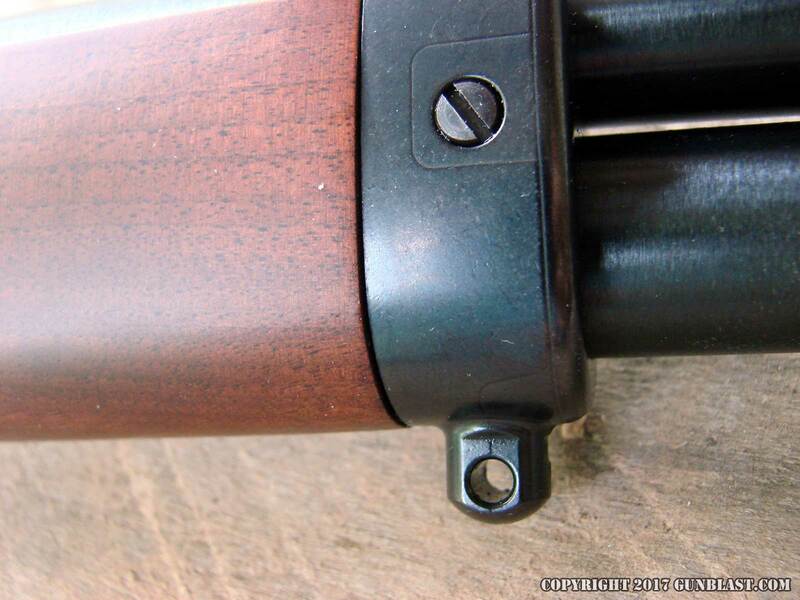 The wood-to-metal fit of the Henry is excellent. 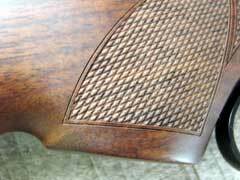 The walnut is straight-grained, but with enough figure to make it interesting, and the bordered cut checkering is well-executed, with no overruns. 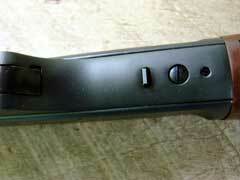 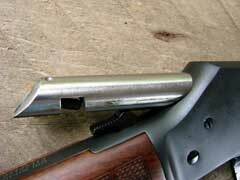 The blued steel barrel has a nice satin finish, which goes well with the matte receiver. 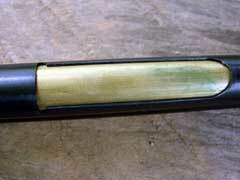 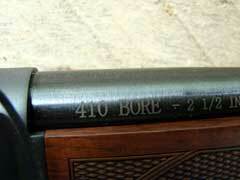 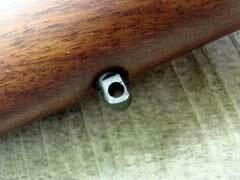 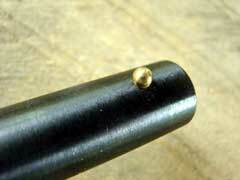 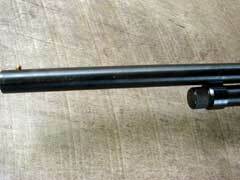 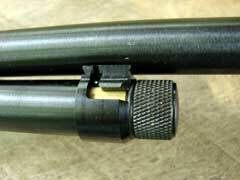 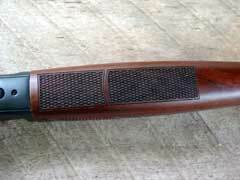 The barrel wears a simple brass bead at the muzzle. 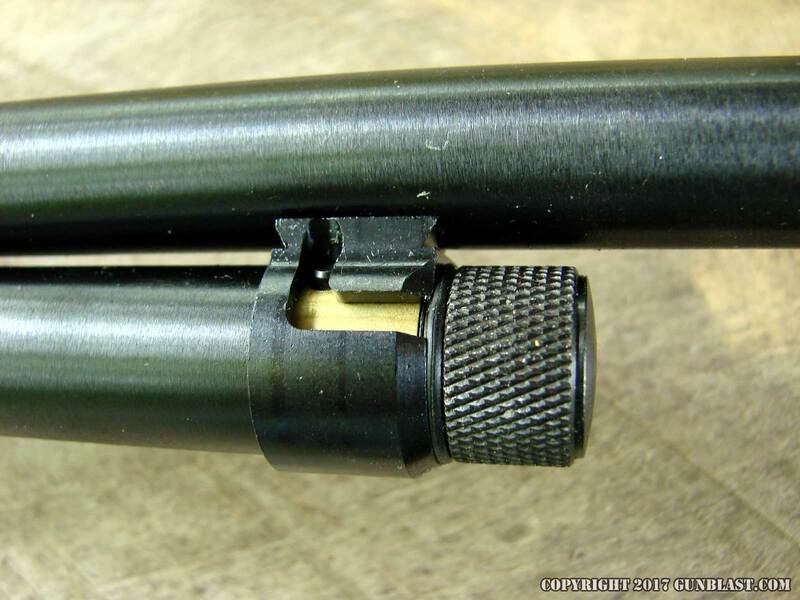 The magazine loads through a port in the mag tube, which has a brass inner-tube, as do other Henry lever-action firearms. 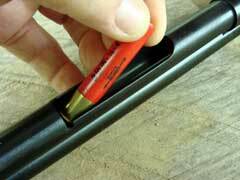 Loading the Henry mag tube is as easy as withdrawing the inner-tube and dropping in the shotshells. 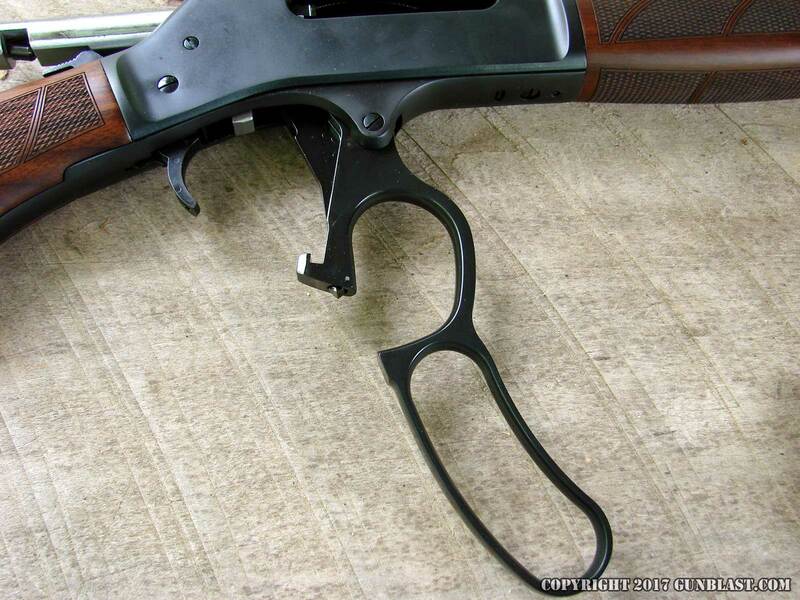 The Henry Lever-action Shotgun has a solid heft to it, but balances very well, feeling pretty much like a Henry rifle. 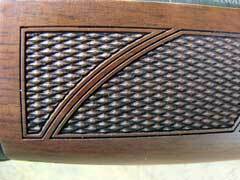 It is a handsome shotgun, reminiscent to me of the classic Winchester and Marlin lever-action shotguns of years past. 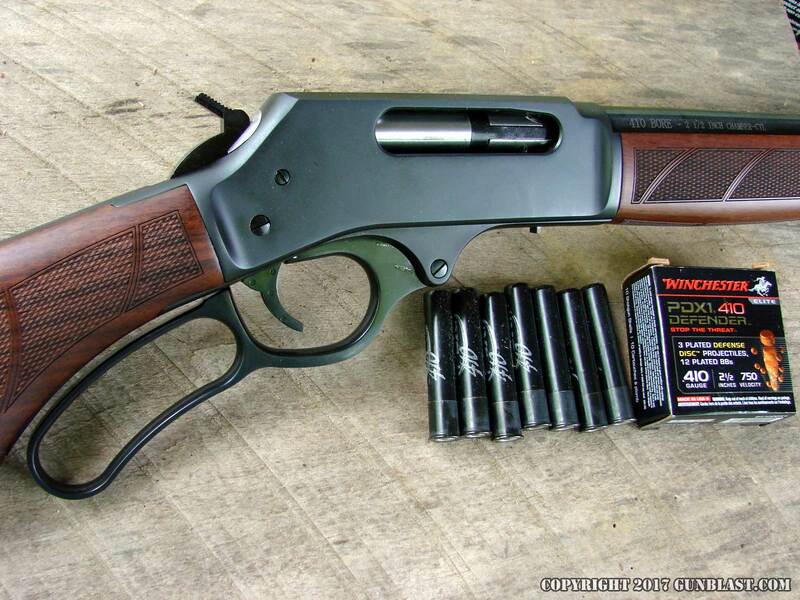 Both Winchester and Marlin have discontinued their lever-action 410 bore shotguns, leaving Henry as the only game in town from a US manufacturer, but Rossi imports one from Brazil. 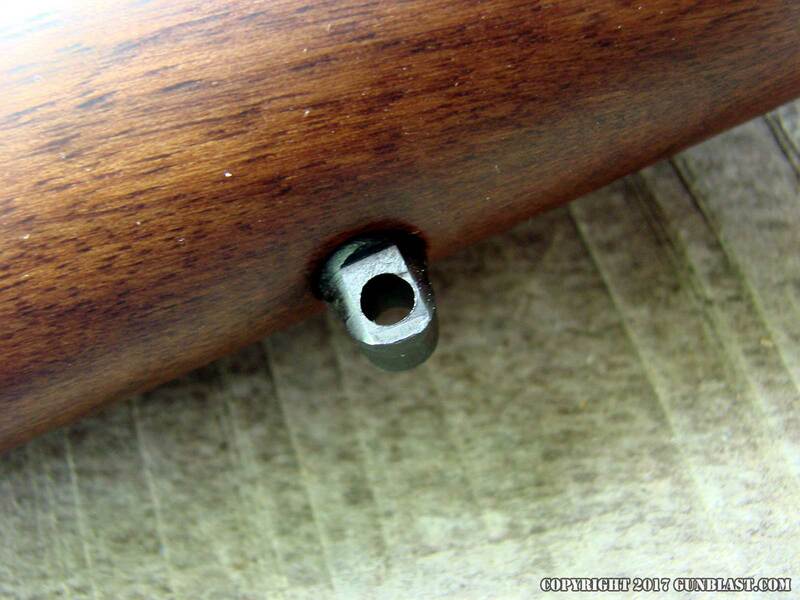 While the Henry will shoot 410 slugs just fine, I prefer to use it with birdshot or buckshot, as for a single slug, the Henry centerfire rifles cover that use much better than would a 410 slug. However, I do like the Winchester PDX-1 shotshells, as they throw three flattened disks along with twelve BB-sized shot, for a good “buck-and-ball” type load. 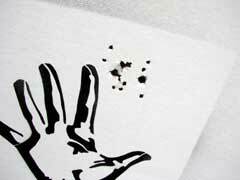 For pest control on vermin such as rats and venomous snakes, number 5 or 6 birdshot is hard to beat, and for larger critters, number 4 shot works pretty well. 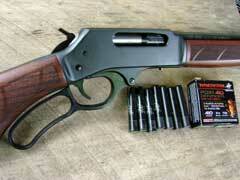 The Henry shotgun fires 2.5 inch 410 shotshells only, and every brand tried cycled smoothly through the action. On the subject of shotgun power, killing birds and small critters is done with just a few pellets from the shotshell’s payload. 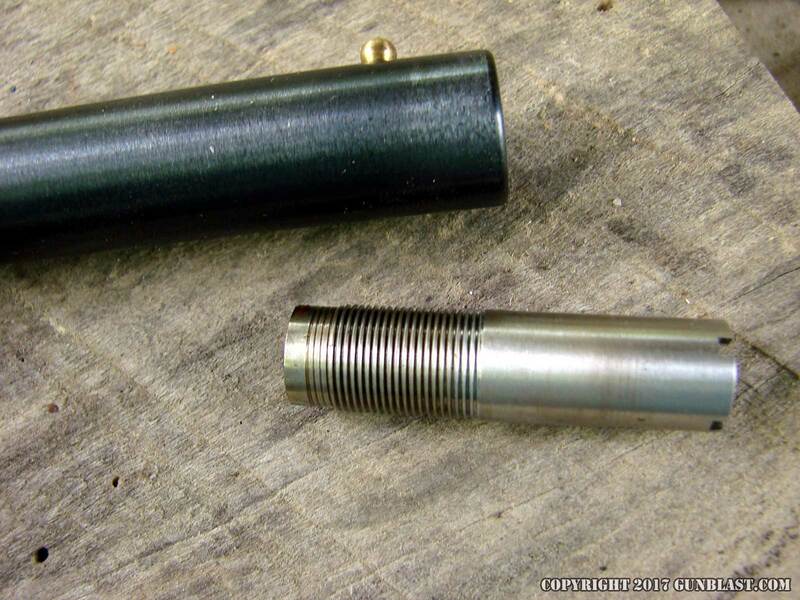 The 410 throws its shot just as fast as do the larger gauges; it just doesn’t throw as many. Since vermin and birds only need a few pellets to put them down, accurate placement of the shot load is more important than throwing a handful of lead shot to kill a small animal. 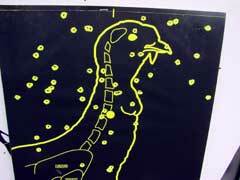 Even a wild turkey can be cleanly killed with the 410 bore, if you can place a few pellets into the head and neck region. 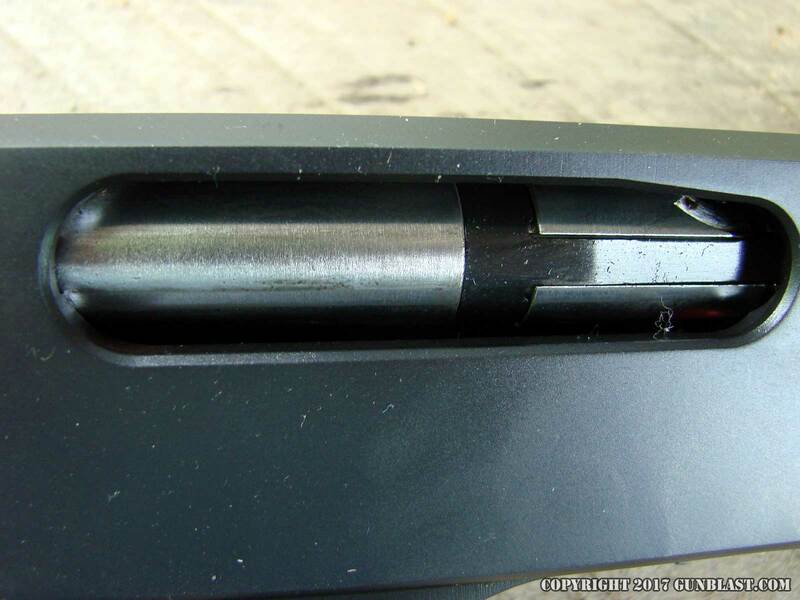 For antipersonnel use, there are better choices, but I certainly would not feel helpless with the Henry shotgun loaded with seven rounds of Winchester PDX-1 when the door gets kicked in at night. The Henry lever-action shotgun shown here cycled without a problem. 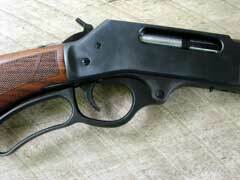 Every shell fed, fired, and ejected flawlessly. 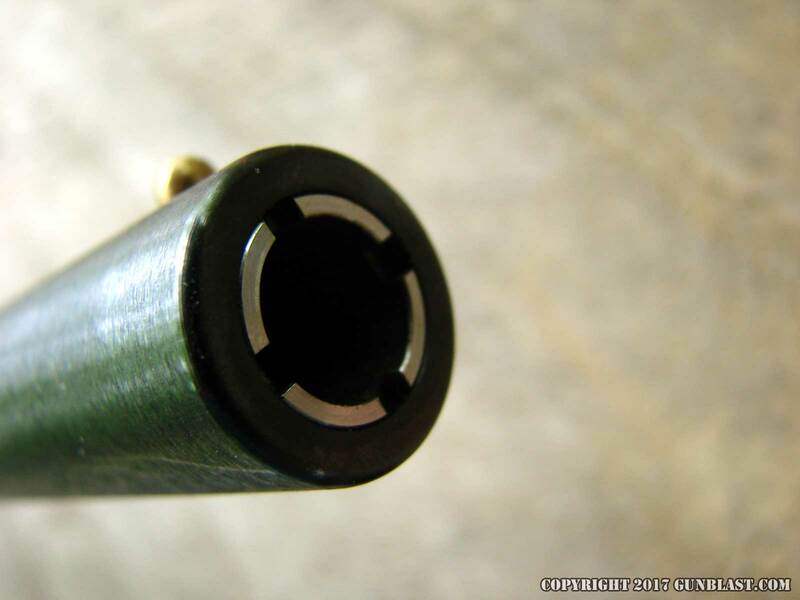 I used Winchester, American Tactical, and Federal birdshot, Winchester 000 buckshot, and Winchester PDX-1 combo load shells in the Henry, and all functioned perfectly. 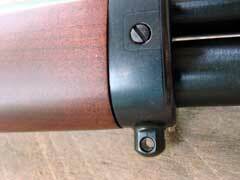 The lever cycled smoothly, and the crisp trigger pull was a delight to use. 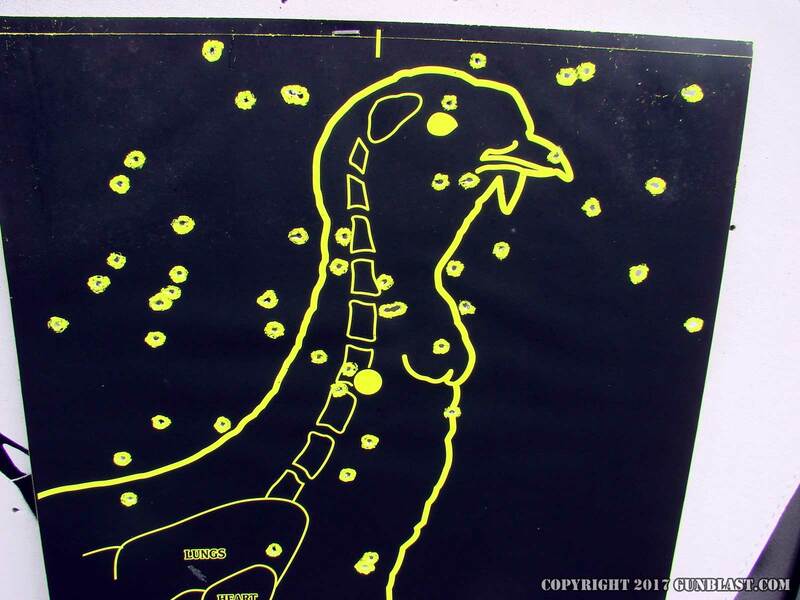 Also, the Henry pointed very well for me, placing the shot load where I wanted it to go. 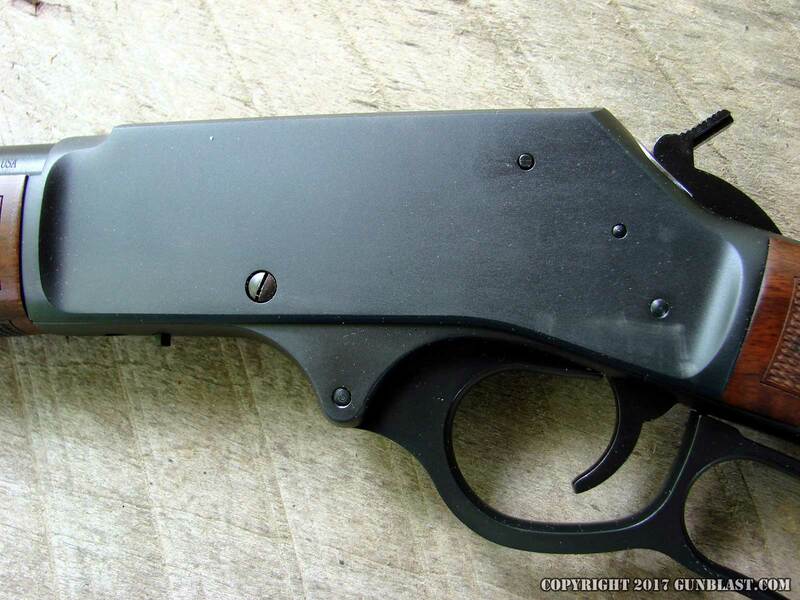 I think that the Henry Lever-action shotgun is going to get a lot of use around here as a good, all-around utility shotgun. 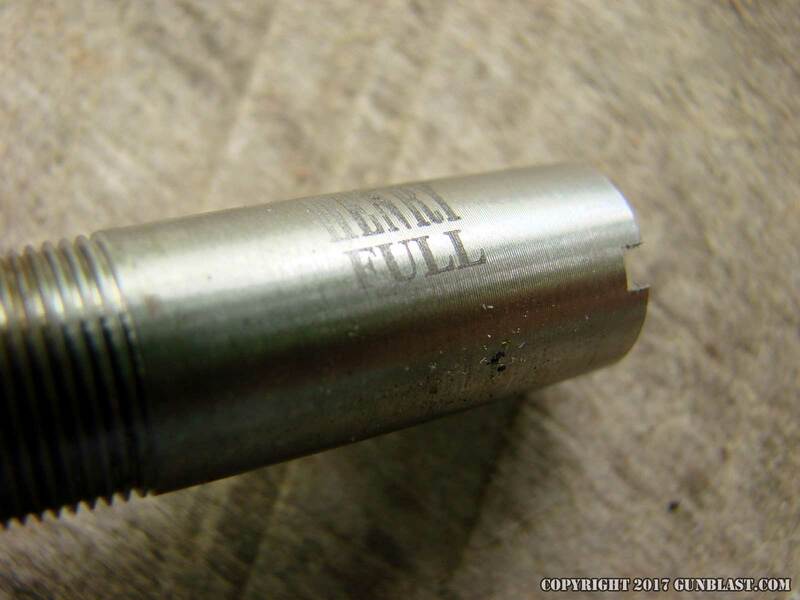 It fills a niche which needed filling. 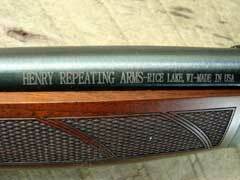 Like all other Henry firearms, the lever-action shotgun is “Made in America, Or Not Made at All”. 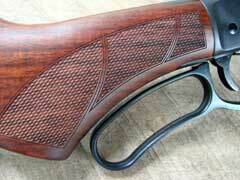 The manufacturer’s suggested retail price is, as of the date of this review, $902 US. 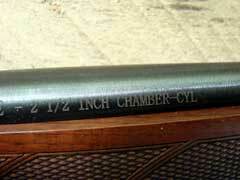 The twenty-inch version is $52 less. 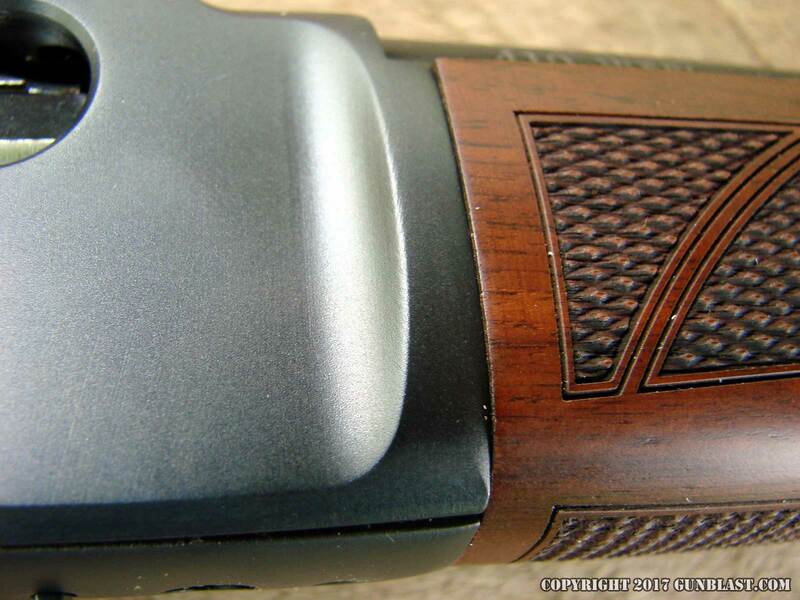 For a look at the extensive line of Henry firearms and accessories, go to www.henryusa.com. 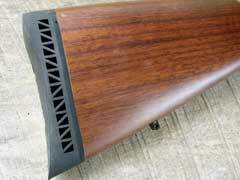 To find a Henry dealer in your area, click on the DEALER FINDER at www.lipseys.com. 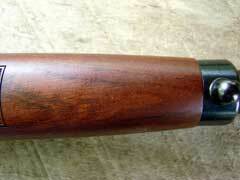 To order the Henry shotgun online, click on the GUN GENIE at www.galleryofguns.com. 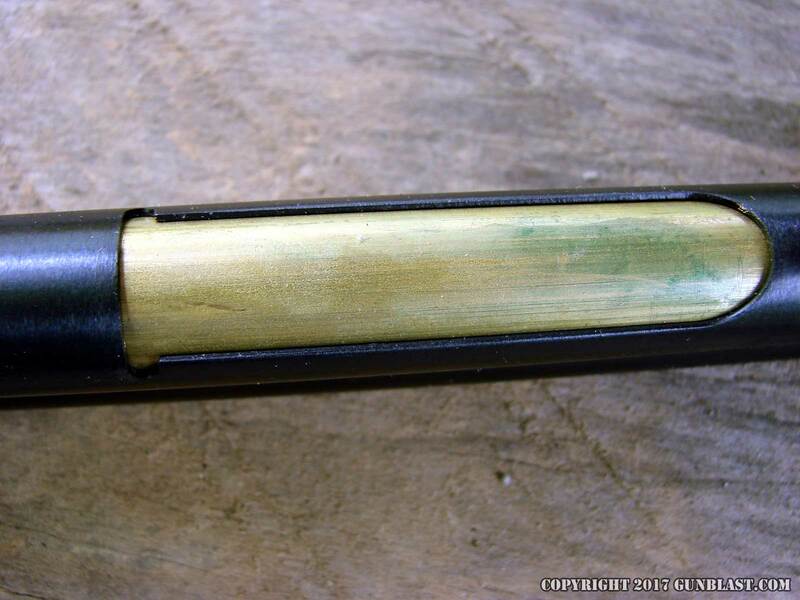 To order quality shotgun ammunition, go to www.luckygunner.com and www.midsouthshooterssupply.com. Magazine loads from a port in the magazine tube. Shot patterns: Winchester PDX 1 at 10 yards (top), Winchester Number 4 Shot at 25 yards (bottom). Shotgun balances perfectly at the front of the receiver, for easy carrying. 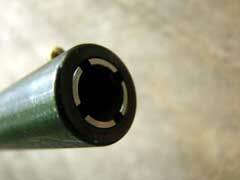 Sling swivel studs are included.